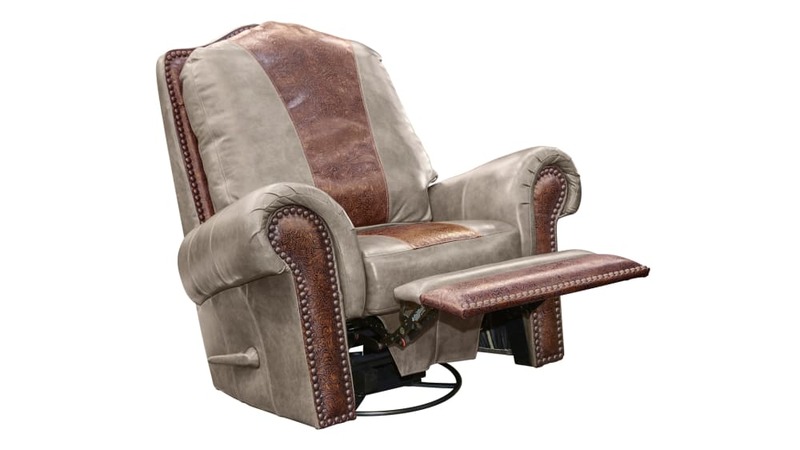 This generous size, top of the line beautifully tailored, camel back leather swivel recliner will be a stunning addition to your home. 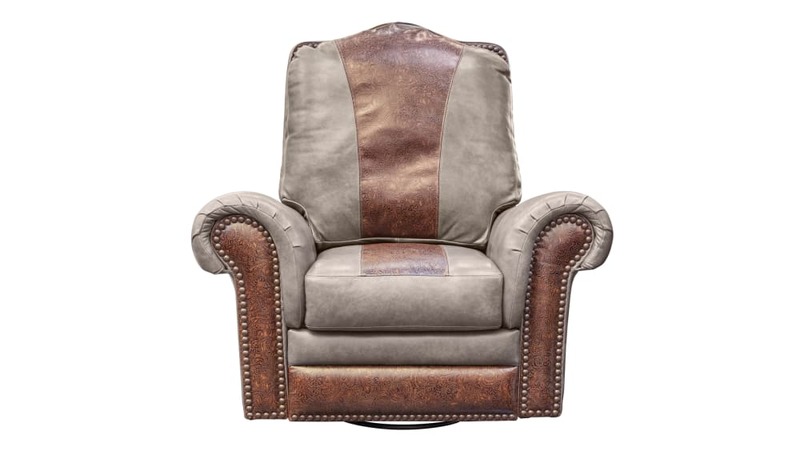 It features traditional oversized rolled arms, brass nail head trimming and bun feet. 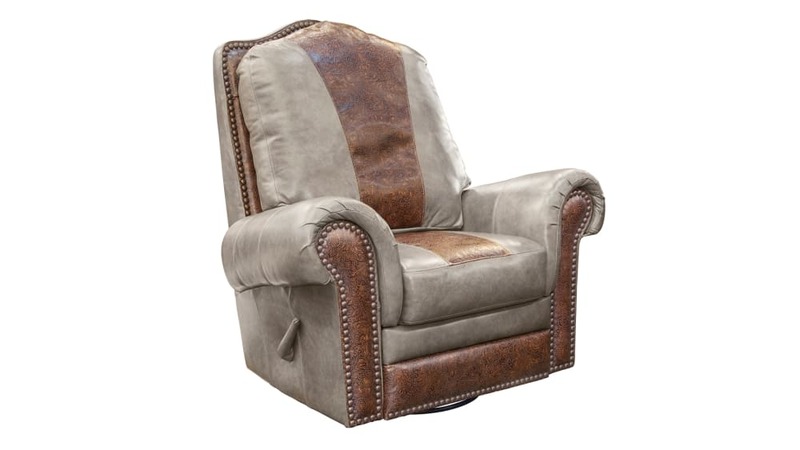 Take note of the tooled leather that makes this unique recliner stand apart from the rest.